It used to be that the only reliable way to find information online was to use a search engine. However, with the advent of what we call Web 2.0 (interactive, dynamic websites that promote or operate as social networks), people can now easily find information and websites that other human beings recommend. The most popular social network is of course Facebook. Though this social giant enjoys over 1.4 billions users, more businesses and website owners are beginning to penetrate this incredible resource. Other important social networks include LinkedIn with 347 million users, Google Plus+ with 300 million users, Instagram with 300 million users, Twitter with 288 millions users, and Pinterest with 72 million users. In addition, two powerful social media networks have emerged that are revolutionizing audio and video: YouTube and BlogTalkRadio. These mega networks allow citizen filmmakers and broadcasters to share their visions with the world and spread the word about what matters to them. There is also social bookmarking websites like StumbleUpon, Delicious, and Reddit that allow users to share their personal favorites (bookmarks) with others. Users tag each bookmarked website with the keywords they feel are most applicable. We strategically inspire the members of Facebook, Twitter, and other social sites to act as your personal marketing messengers. Now, instead of using a search engine to find information, people can search tags that will display all websites bookmarked with that specific tag. This amounts to a human referral or vote for the site and its relevance to the subject being searched. How Will Social Networking Help My Site Traffic Grow? 91% of online adults use social media regularly and 70% of adult social networkers shop online. It’s been estimated Internet users spend 22.5% of their online time social networking. Experts say that social networks are now eclipsing traffic from the major search engines Yahoo! and Google. So if your company is not present on any of the major social networks, you’re missing out on the easiest, fastest way to access 91% of internet users. How Do I Get Involved in Social Networking? Working with social sites is similar to working with the media. Give them a good enough story, secret, tip, or resource that they can sink their teeth into and you’ll have an army of talkers spreading the word about you and your business. And this translates into referrals, which convert into sales on an average of 667% better than cold leads (search engine results). So even if you reach less people through social networking, your conversions will be far higher. We manage several blogs for our various clients that contain posts written purely to capture the imagination and interest of our client’s target market. For instance, if you sell pet beds, gifts, and items, we will develop a series of blog posts or articles that discuss a controversial or “hot off the press” topic that pet lovers either find highly valuable as an information resource, or highly intriguing or emotionally stimulating. We will then promote it to various social bookmarking and blogging networks – who will then circulate the story and generate traffic back to your website. Particularly effective for clients who target teens, young adults, musicians, or other highly active social groups, we implement social promotion campaigns on networks like Facebook to spread the word about your business. Even if your business does not target the “facebook crowd,” we can almost always devise a creative campaign to get the net buzzing. 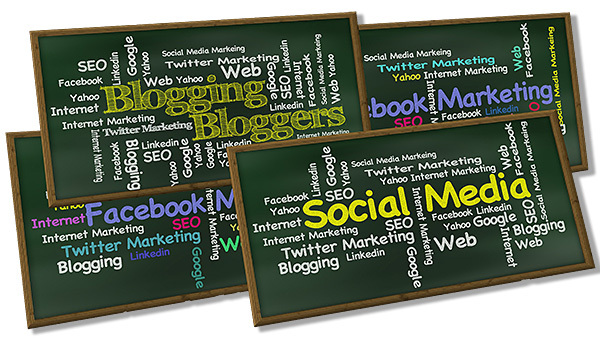 How Does Social Networking Work With SEO? However, we view the partnership between social networks and search engines as an excellent and balanced marriage. Sure, social networking gets you in front of people who no longer use search engines in lieu of finding their information through referrals or bookmarks/tags. But the added, and perhaps more exciting bonus, is that while you grow in popularity with social networks like Facebook and Google +, your search rankings will continue to increase as a result! Your popularity signals Google that you are an authority in your market according to your human audience.